How can I make my Verizon Galaxy S4 faster? Is there a way I can eliminate lags on my phone? My phone freezes from time to time, how can I fix this? The Home button on my phone is not lagging, how could I make its response quick? My phone often hangs, how can I make its performance better? Well, there were a lot of questions but we cannot post all of them simply because they often fell under any of these queries. As I said, we will try to identify each problem and write tutorials on how to fix them in the future, so for now, these are the only things we'll address. The following procedures can be done separately but we are sure each has an impact on the overall performance of your phone. 1. Close recently used applications, clear RAM. As always, Android does not close apps when you press the Home button, they're simply minimized. Thus, they continue to run in the background and consuming RAM like any other apps. More often, these apps are the cause of the phone's decreased performance so you need to close them and the best way to start is by closing recently used apps. Go back to the Home screen, then press and hold the Home button until Recent Apps window pops up. Swipe each app from left to right to close them or tap the Remove All icon on the lower right corner. Tap the Task Manager icon just above the Menu key. 2. Turn off S Voice. While the S Voice feature on the Galaxy S4 is a slick addition, not everyone uses it often. If you are one of those who are not really fond of dictating what to do on phone, you have the reason to disable the feature. Not only does the feature eat up some RAM, it also causes the lag in your phone's Home button. Double press the Home button to launch S Voice. Press the Menu key and tap Settings. Uncheck the 'Open via the home key' box. The next time you press the Home button, it would respond quickly because the phone would not wait for the second press, instead, it executes the command right away. 3. Turn off transition animations. To make its interface more appealing, transition animations were added to the stock interface. 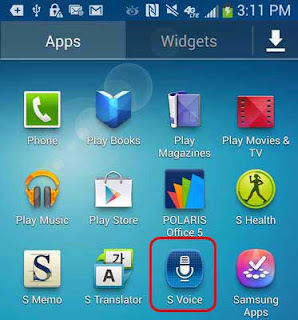 Their settings can be found under Developer Options, which in the case of the Samsung Galaxy S4, is hidden. But any one could enable it and change transition animation settings. From the Home screen, touch the Menu key. Tap Settings and scroll down to see the Build Number. Tap the Build Number at least 7 times until the phone tells you you're a developer. Scroll to and tap Window Animation Scale then set it to 'Off'. Do the same for Transition Animation Scale and Animator Duration Scale. After doing this procedure, you would notice that the phone would respond to commands quicker than before. 4. Uninstall unnecessary applications. If you have applications you don't use anymore, it is strongly recommended you uninstall them. The fewer the services the phone runs, the better its performance would be. Not only does uninstalling unnecessary apps free up some space, it also stops some services associated with those apps. If you notice, over time the phone will become gradually slow especially when you already put a lot of files and apps in it. Logically, getting rid of those services that are not used anymore would help make its performance better. Do you have problems with your Verizon Samsung Galaxy S4 phone? Don't hesitate to send us email at sebertech@gmail.com and we will do all we can to provide you solutions and answers. And if ever you found this article helpful, please share the love by recommending it to your friends or simply like it. A simple gesture of sharing is all we need to continue what we do here at SeberTech.